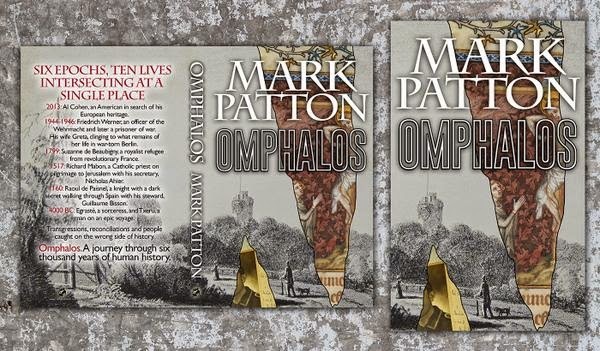 "Omphalos" - A Preview of the Sixth Story - "The Song of Strangers"
The sixth and final story in my forthcoming novel, Omphalos, is set in around 4000 BC. If you are wondering why there is such a large time-gap between the fifth and sixth stories, all I can say is that it should be clear by the time you reach the end of the novel! Of stones piled up on stones, piled up on stones. And each one took a rower by the hand. Into the cavern deep inside the mound ..."
In "The Song of Strangers," I take the reader closer to the world of Egraste and Txeru themselves: they are the protagonists, but there may already be some mythologizing, since the story is recounted, as an oral tale, by Egraste's three-times great-grand-daughter. It is already clear in Undreamed Shores that the version of the story told by the men differs from that told by the women, and now the reader can discover some of the reasons for this. 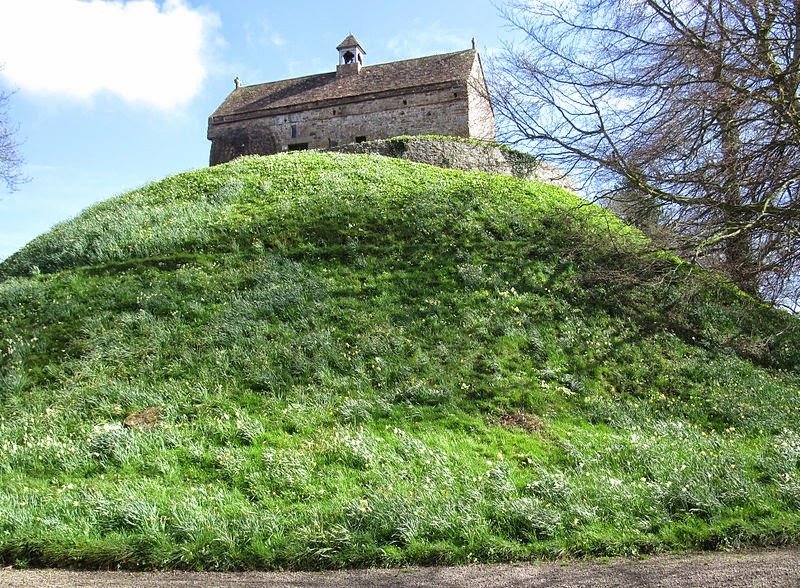 Unreliable narration aside, the mound in question is that of Barnenez, near Morlaix in northern Brittany. Built in at least two phases, the mound covers eleven "passage graves" of varying construction. 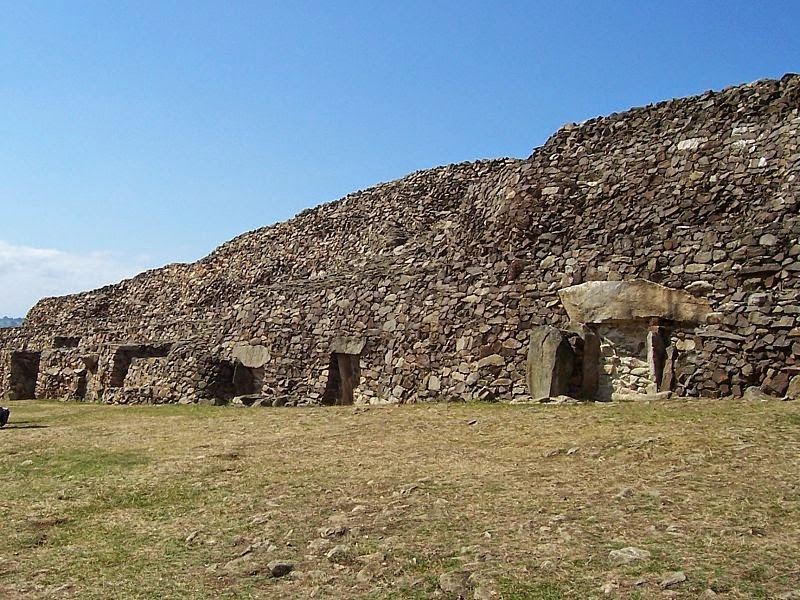 The Neolithic cairn of Barnenez, showing the entrances to the passage-graves. Photo: New Papillon (licensed under GNU). One of the exposed stone chambers at Barnenez. Photo: Schorle (licensed under GNU). 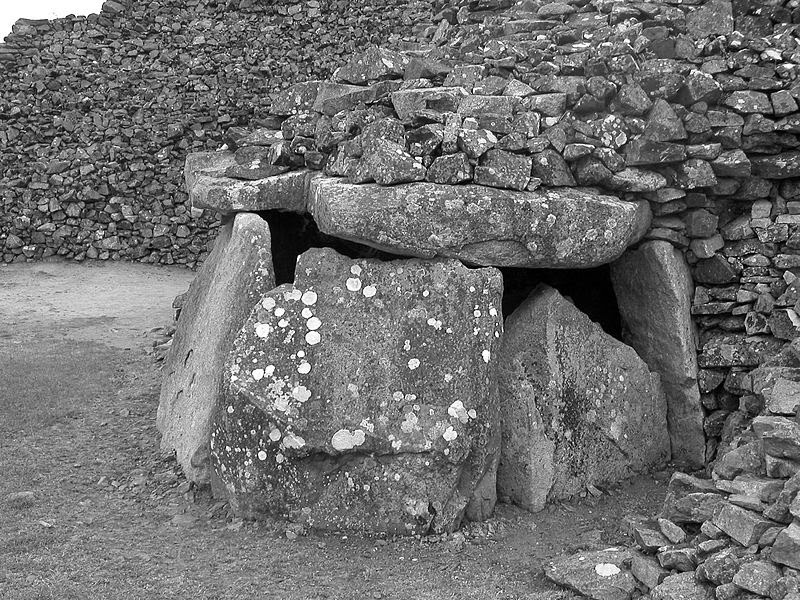 Just what was a "passage grave," and what happened in them? I have spent much of my academic career trying to work this out, and written several books on the subject. Human remains are found in some, but not all passage graves, and, when they are found, they are often fragmentary. They probably were not permanent repositories for the remains of the dead, and they may have been used by the living for a variety of ceremonies in which the ancestors were invoked. 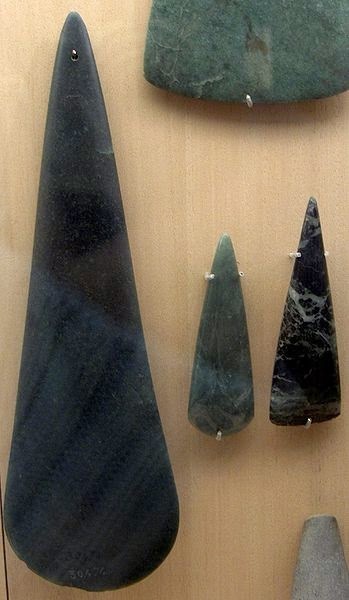 Jadeite and fibrolite axes from Brittany. Photo: Calame (licensed under CCA). 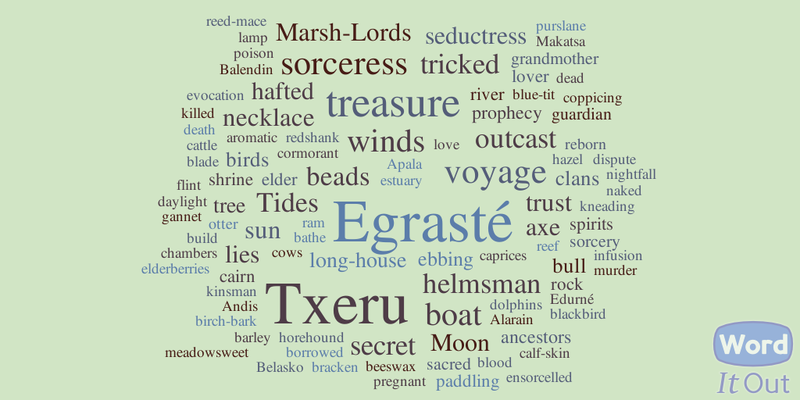 "The Song of Strangers," however, is not just a story about passage graves (they only really feature at the beginning and the end): it is the story of an epic journey; of transgression and reconciliation; of the lengths that men will go to get their hands on "treasure" (in this case, elaborate axes made from precious stone); of truth and lies, and trust stretched to breaking point. "Egraste walked along the beach as the first streaks of morning light appeared in the autumn sky. She had left Txeru asleep, hoping to escape the memories that haunted her dreams, but now she had another vision to contend with, that of a woman she had never met, her head smashed open with her father's axe, because of Txeru, because he had tricked her. Laida was not the one he had loved, Ostargi had said. Presumably that meant that she, Egraste, was the one he loved, but what was his love worth, this man who had abandoned Laida to her fate? Who had, perhaps, fathered a child on Nahia, and returned to her village without a word to say to either of them? He could abandon her just as easily." 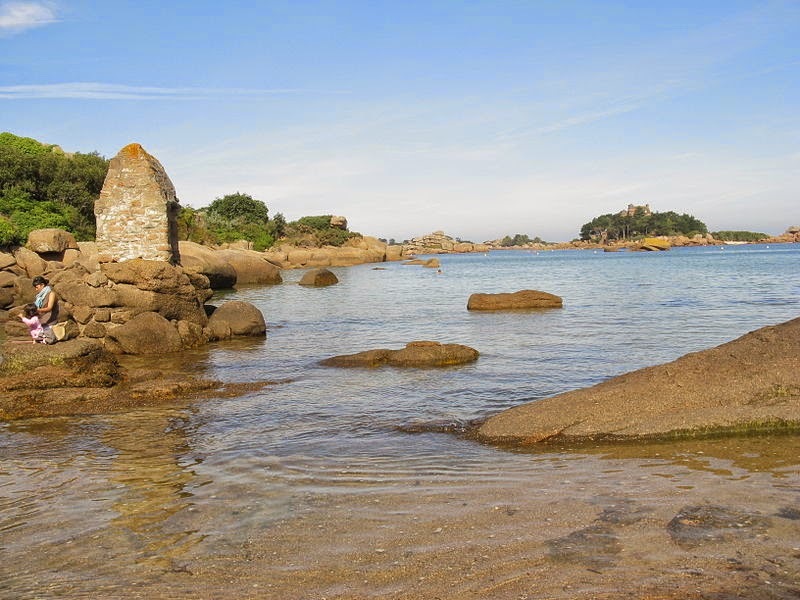 Saint-Guirec, Brittany. Photo: Demeester (licensed under CCA). A further visual preview is available on Pinterest. "Omphalos" - A Preview of the Fifth Story - "The Path of Stars"
The fifth story in my forthcoming novel, "The Path of Stars" is set in the 12th Century, and follows a knight, Raoul de Paisnel, and his steward, Guillaume Bisson (both characters are fictional), on a pilgrimage to Santiago de Compostela. 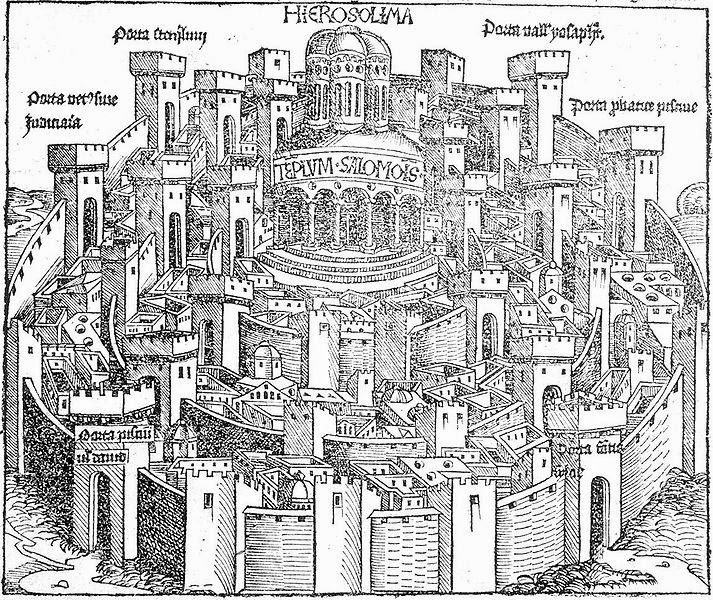 Pilgrimage in the high middle ages was very different from the tours offered by Venetian galley-owners four centuries later: most people travelled on foot, and faced serious dangers (robbers, bandits, injury, disease) along the way, but they also believed that the experience could save them from eternity in Hell. 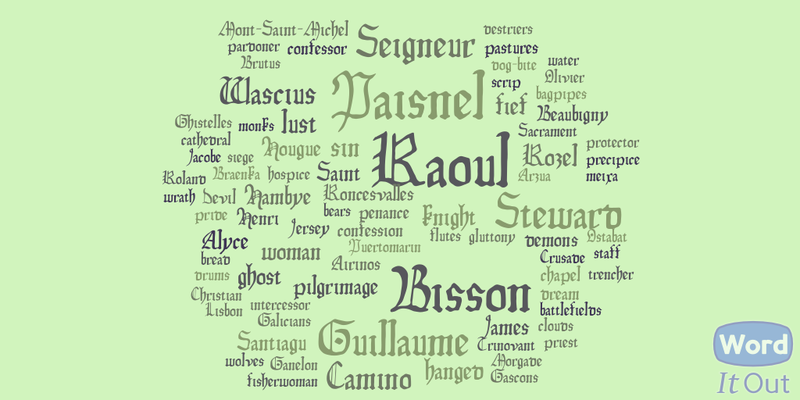 Like many of his fellow pilgrims, Raoul has a dark secret in his past, a sin that needs to be expiated, of which Guillaume has no knowledge, since Raoul has shared it only with his confessor, Master Wascius. The confessor is a historical character (the Anglo-Norman poet, Wace, who was also a canon of the Abbey of Saint-Etienne at Caen). In this story, he guides pilgrims along the pilgrimage route from Mont-Saint-Michel to Compostela. 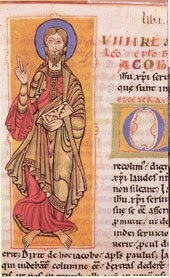 The primary source for anyone writing about the pilgrimage to Compostela is the Codex Calixtinus, a compilation which claims to have been put together by Pope Calixtus II, but which most scholars believe was actually the creation of a French cleric, Aimeric Picaud. It includes a book of liturgies and sermons; records of various supposed miracles; an account of the miraculous translation of St James's body from the Holy Land to Galicia; and music associated with the pilgrimage. Elements of all of these feature in the story. A page from the Codex Calixtinus. This is the version held by the Cathedral of Santiago de Compostela (image is in the Public Domain). The Codex Calixtinus also includes a "Travellers' Guide," which does read very much like a modern tourist guide, but can hardly have functioned as such: only four copies now exist and, whilst there were undoubtedly more copies in the 12th Century, such manuscripts were expensive, and would not have been carried around on the road. I think, therefore, that clerics must have acted as I have Master Wascius acting: he will have studied a copy held by his abbey, or by that of Mont-Saint-Michel, committing much of it to memory, and perhaps also taking notes, and then guiding people on the road itself. 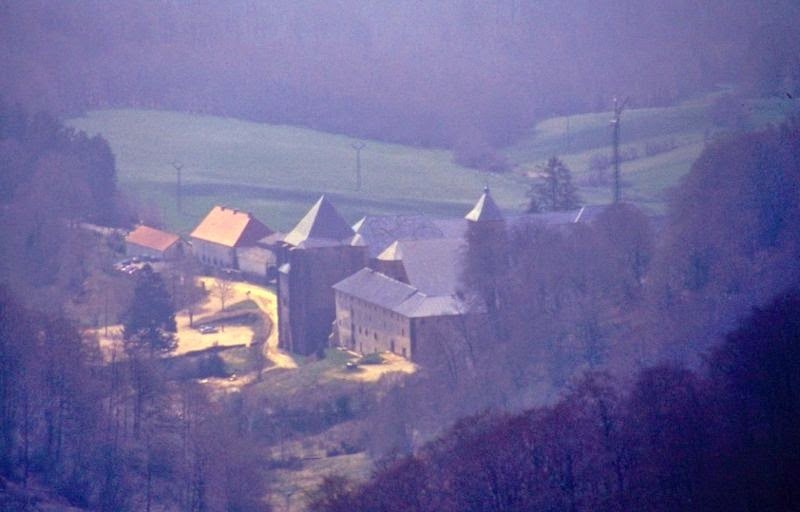 The monastery of Roncesvalles, an important stopping-off point on the pilgrimage route. Photo: Liesel (licensed under GNU). E ultreja! E sus eja! He, Raoul de Paisnel, does not even know what the last exclamations mean, or whether they are in the language of the Galicians or of the Basque people. He chants them anyway, along with many others, as the throng marches into the town of Compostela, cheered by the local people who have come out from their shops and houses to greet the pilgrims. His confessor, Master Wascius of Caen, marches on his right-hand side, bearing Raoul's staff as well as his own, so that Raoul can balance on his shoulder the heavy block of limestone he has carried from the quarry. His worn fingers stretch around it like the ridges of a scallop-shell. To his left marches his steward, Guillaume Bisson, his constant companion on the road from Mont-Saint-Michel." 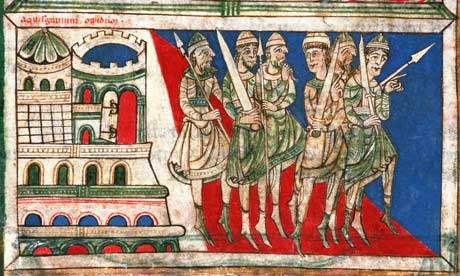 Charlemagne and his knights on the road to Compostella, from the Codex Calixtinus (image is in the Public Domain). Stories about Charlemagne and his knights, Olivier and Roland, were told along the pilgrimage route, especially at Roncesvalles, the site of an important battle. In contrast to the first four stories, I have not attempted to capture the linguistic register of the period. The characters would be communicating in a mixture of Norman French and Latin, which would be impossible to render into meaningful English. I have opted, instead, for a close third-person, present tense narration in modern English. "Omphalos" - A Preview of the Third Story - "The Infinite Labyrinth"
The third story in my forthcoming novel, Omphalos, is set at the turn of the 18th and 19th Centuries. "The Infinite Labyrinth" (the title was suggested by a line from William Blake's poem on the French Revolution) takes the form of a diary written by a young Frenchwoman, Suzanne de Beaubigny. At the beginning of the story, Suzanne and her mother are living peacefully in their Normandy manor. Suzanne's father, a royalist, had been killed some years previously in a skirmish with revolutionary troops, and his widow allows her barn to be used by the Chouans (royalist insurgents). News comes to them one night that they have been betrayed - a carriage and a ship are provided to take them into safety and exile. On the island of Jersey, Suzanne is drawn into a clandestine world of intrigue and espionage, aspects of which fascinate her mind, but other elements of which trouble her conscience profoundly. 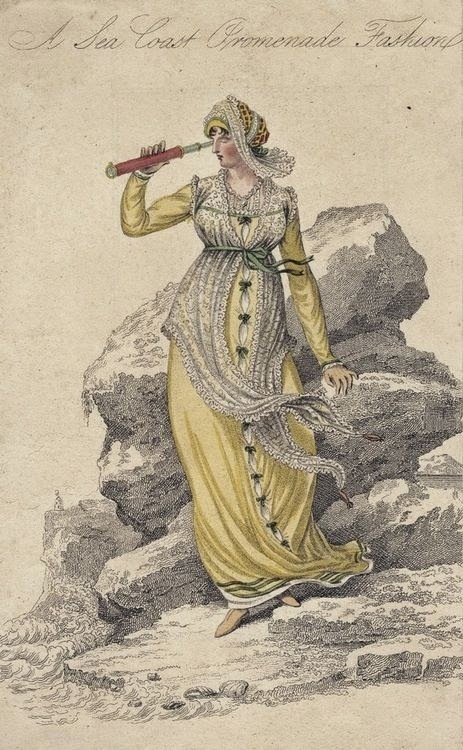 "Sea coast promenade fashion," 1809. I came upon this image after I had written the story, but it is exactly as I imagine Suzanne (image is in the Public Domain). 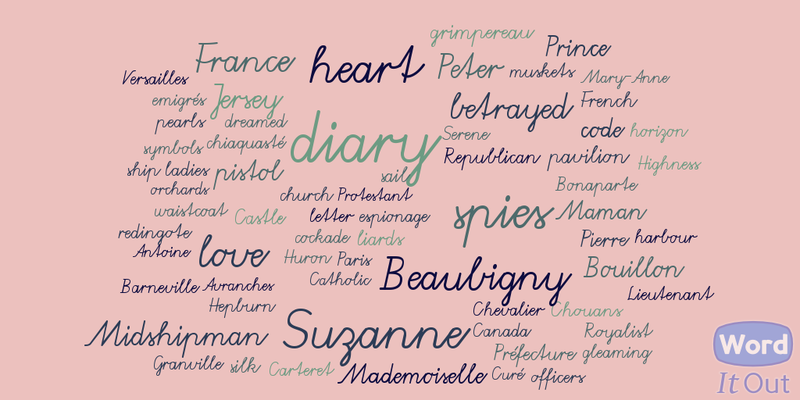 Although Suzanne is a fictional character, La Correspondence, the spy network of which she becomes a part, is historically documented, and it is known that young women, as well as men, played an active part. At its centre was Philippe d'Auvergne, the Prince de Bouillon, a Jerseyman adopted into a French noble family, and serving as an officer in the Royal Navy. 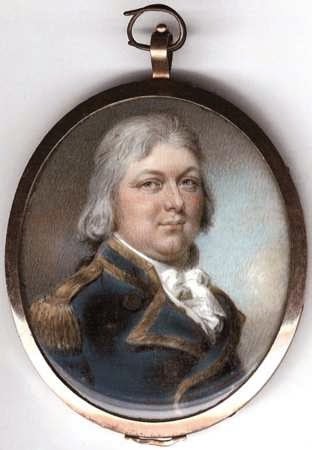 Commodore Philippe d'Auvergne, Prince de Bouillon. Photo: www.thisisjersey.com (image is in the Public Domain). ... Lieutenant Wilkes arrived to fetch me. I followed him along another labyrinth of corridors and up three staircases, emerging on the crenelated roof of the donjon. The prince was waiting for me there, now in full naval uniform, a telescope in his hand ... The sun was going down, the tide high, and the little flotilla sailed out from the port below us, led by the Atlantic. "Every evening they sail," said the prince, a note of sadness in his voice, "and each time I ask myself why. I will be up here again tomorrow morning, to watch them come back in. He handed me the telescope, and I watched as the topsails were hoisted on the Atlantic ... "All so that King Louis might be crowned. But it will never happen." 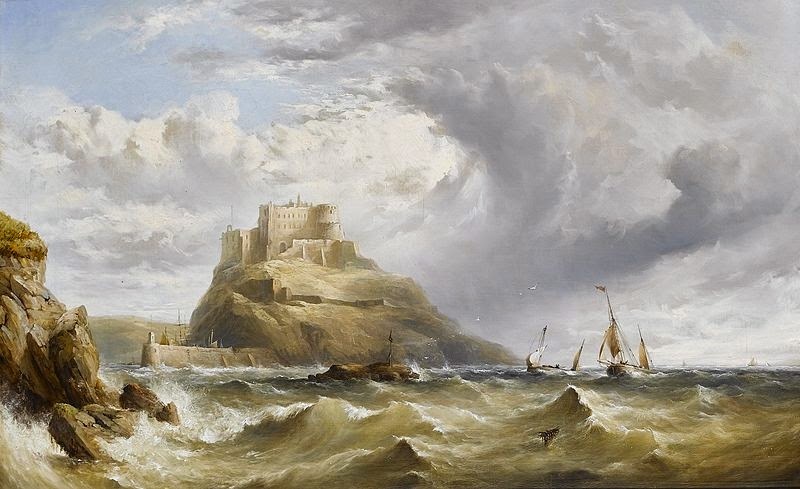 Mont Orgueil Castle, Jersey, by Henry King Taylor (image is in the Public Domain). The castle was the headquarters of Philippe d'Auvergne's spy network. 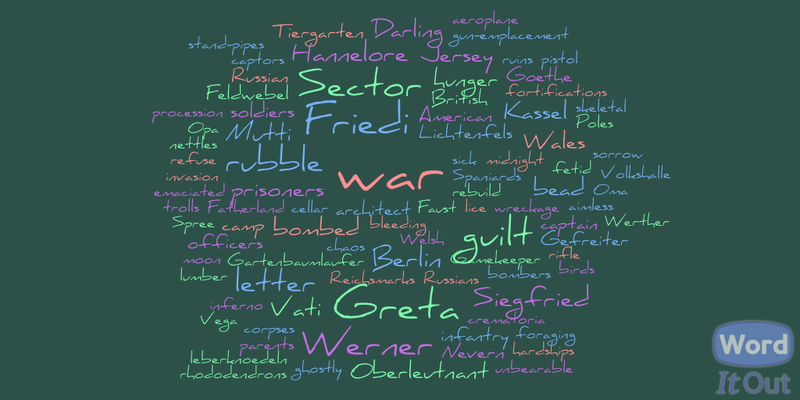 "Omphalos" - A Preview of the Second Story - "The Spirit of the Times"
The second story in my soon-to-be published third novel, Omphalos, is set during and immediately after the Second World War. "The Spirit of the Times" (the title was suggested by a line from Goethe's Faust) is narrated in epistolary form (each of the six stories takes a different form), the correspondents being Friedrich Werner, a junior officer in the German army, and his wife, children and mother in Germany. At the beginning of the story, Friedrich is stationed in Jersey, as part of the occupying force. As the war draws to its close (his first letter is dated 3rd May 1944), and later, as a prisoner-of-war in Wales, he is forced to confront the true nature of the regime for which he has been fighting. 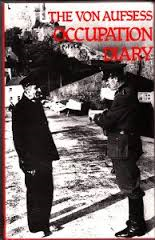 In researching the story, I made use of The Von Aufsess Occupation Diary. Baron von Aufsess was an aristocrat, who served in Jersey as a liaison officer with the civil authorities. His diary of the later stages of the occupation gives a very clear and vivid picture of the changing mood of the garrison as time progressed. 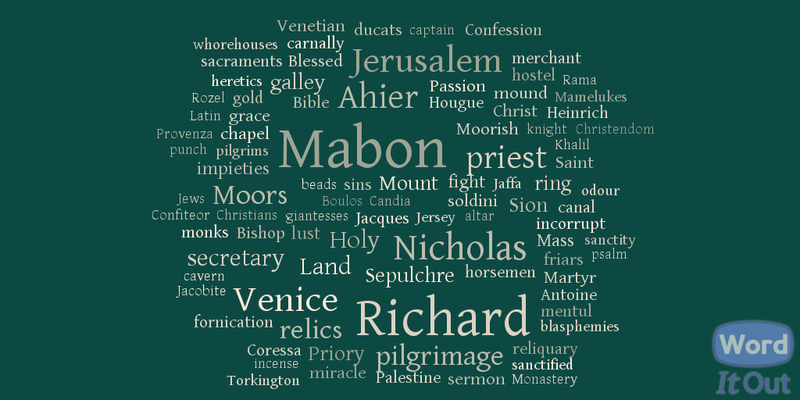 I take care, in my novels, not to fictionalise the lives of real people in the relatively recent past, but I was able to include the baron as a character without doing so (the words I attribute to him are his own): I was even able to incorporate, as an element in the plot, a specific visit that the baron made to La Hougue Bie, where Friedrich is stationed, in company with a Swiss Red Cross official. The historical Baron von Aufsess socialised with many young officers, and did not always name them in his diary, so it was easy to make the fictional Friedrich part of this circle, and to make this association the starting point for Friedrich's re-education (the baron was a covert, but committed, anti-Nazi). 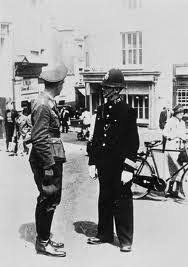 A German officer and a Channel Island policeman. Photo: Imperial War Museum (non-commercial License). The German Occupation remains a sensitive topic for many Channel Islanders, and I am prepared for the possibility that my choice to explore it through the eyes of an occupier, rather than an islander, may be controversial. A novelist, in attempting to make sense of history's greatest conflicts and tragedies, has to be willing to tackle difficult topics, and, where appropriate, to adopt controversial viewpoints. Omphalos has, among its key themes, questions of transgression and reconciliation, and an interest in people who find themselves on "the wrong side of history," and it was in this context that this story-line suggested itself. "Omphalos" - A Preview of the First Story - "Touching Souls"
My third novel, Omphalos, will be published on 5th December 2014, by Crooked Cat Publications. Final corrections have been made, the cover design agreed, and review copies sent out. The novel itself comprises six stories set in different time periods, nested one inside the other like a Russian doll, and linked by a physical place, by suggested ancestral links, and by specific objects. None of the characters travel in time, but the reader will embark on a journey through six thousand years of history. I have already posted further clues here and here. Today I am giving a preview of the first of the six stories, "Touching Souls," the title suggested by a poem by Rainer Maria Rilke. It is set on the island of Jersey, in the Spring of 2013. Al Cohen and his wife Naomi are respected members of New York's Jewish community. Al's French mother, Sophie, was a Roman Catholic, but had little involvement with the church during his childhood. 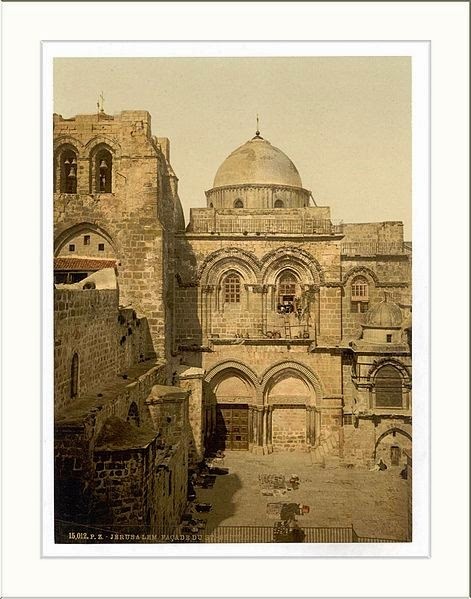 His father, Robert, on the other hand, served on the council of his local synagogue and, as a young man, Al himself embraced the religion of his father and most of his friends. Robert died in 2003 and, five years later, on her own deathbed, Sophie dropped a bombshell, telling Al that Robert Cohen was not his biological father. 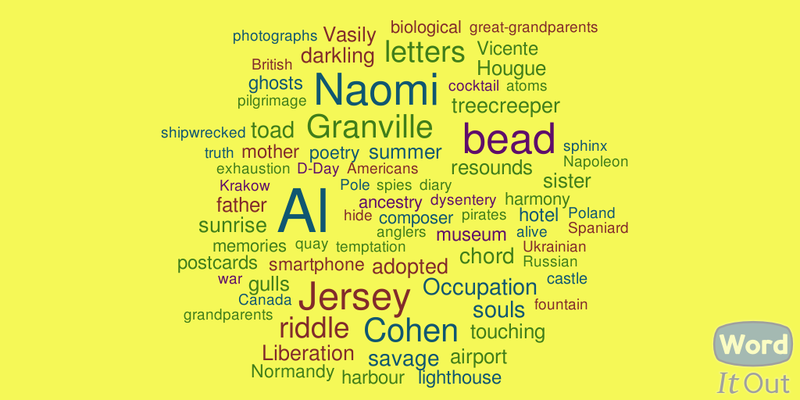 Some years later, Al is contacted by the half-sister he never knew he had, and it is questions about their shared heritage that bring them to Jersey in 2013. Al is naturally curious to know more, but nonetheless apprehensive about the dark secrets that may be revealed. Saint Helier Harbour, Jersey. Photo: Man Vyi (image is in the Public Domain). "Al looked out across the harbour mouth to the squat white lighthouse on the other side. The orange glow from the streetlights along the pier illuminated the harbour as if it were daylight, and gulls still flew around in the hope that someone might throw down the crust of a sandwich ... He sat down on the bench and took the letter from his pocket. Removing it from its envelope, he unfolded it, taking care not to damage the brittle yellowing paper, and scanned the French words. They must have been written right here, on the end of this pier ..."
Strangers on an island that none of them have visited before, Al, his half-sister and Naomi, are drawn to the ancient burial mound of La Hougue Bie, the place that, more than any other, links them, as individuals, to their shared inheritance. La Hougue Bie, Jersey. Photo: Man Vyi (image is in the Public Domain). A further visual preview of this story is available on Pinterest.